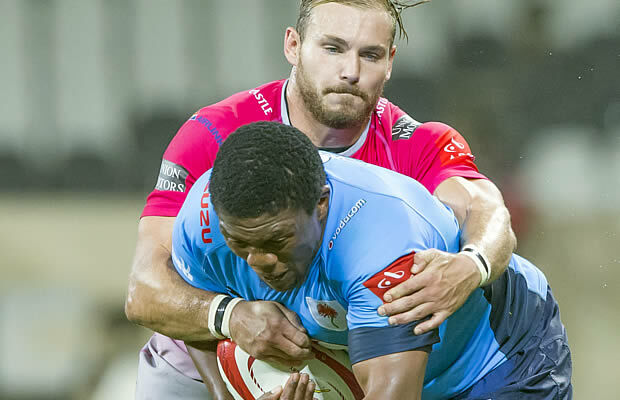 The Blue Bulls held on to secure a home Currie Cup Semi-final by beating the Pumas 24-25 at at the Mbombela stadium on Friday. The result was far from the Pretoria’s side’s best performance of the season and flyhalf Tian Schoeman struggled with his aim when lining up his conversion kicks. The Blue Bulls victory means that they will host Western Province in their home Semi-final. Stalwart Deon Stegmann also spent 10 minutes in the bin for deliberately killing the ball at a breakdown in the 33rd minute, although the experienced player did contribute two of his team’s tries on the night. 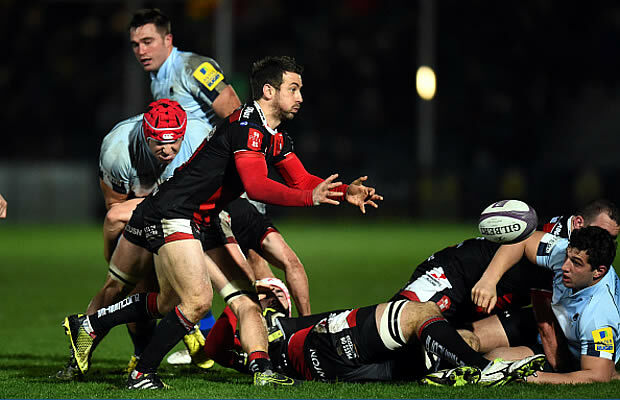 Both Stegmann’s tries came through rolling mauls with the more inspirational tries scored by Jamba Ulengo. Ulengo, who scored a brace, showed great pace in broken play in one of the positives coach Nollis Marias will take into the play-offs. 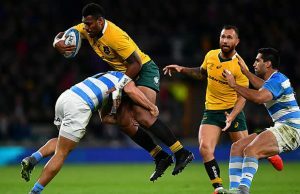 For the Pumas it was the end of another laudable season as they proved once again that they are more than comfortable competing at this level. They were first to trouble the scorers when flank Marnus Schoeman barged over in the third minute of the match. The home side bounced back quickly, but would show many frailties in defence throughout the contest. The Pumas fought back valiantly towards the end of the match and to compliment a splendid try Rosko Specman scored during the opening exchanges of the first half, the home side rounded off with a try by Rudi Mathee. 15 Hoffmann Marnitz, 14 Bernado Botha, 13 Jerome Pretorius, 12 Stefan Watermeyer (captain), 11 Rosco Speckman, 10 Justin van Staden, 9 Faf de Klerk, 8 Jason-Colin Fraser, 7 Uzair Cassiem, 6 Marnus Schoeman, 5 Rudi Mathee, 4 Giant Mtyanda, 3 Vincent Koch, 2 Francois du Toit, 1 Corne Fourie. 15 Warrick Gelant, 14 Travis Ismaiel, 13 Dries Swanepoel, 12 Burger Odendaal, 11 Jamba Ulengo, 10 Tian Schoeman, 9 Francois Hougaard, 8 Arno Botha, 7 Lappies Labuschagne (c), 6 Deon Stegmann, 5 Marvin Orie, 4 Jacques du Plessis, 3 Marcel van der Merwe, 2 Bandise Maku, 1 Pierre Schoeman. Replacements: 16 Corniel Els, 17 Werner Kruger, 18 RG Snyman, 19 Ruan Steenkamp, 20 Ivan van Zyl, 21 Louis Fouché, 22 William Small-Smith.